Melvin was born on January 13, 1879, at Fort Thomas Arizona at a time when the west remained unsettled because the Apache Indians were making their last stand against the White man’s encroachment on their land. At age 33 he was the sole owner of his own insurance agency in Chicago, Illinois and became a member of the local business circle. After two years, he felt that as influential businessmen, their talents could be better utilized in other areas of community life. In 1917 after pursuing this thought for four years they formed what is now known as LIONS CLUBS INTERNATIONAL with 27 clubs from around the United States. The Association became international in 1920, when the Lions of Detroit chartered the Windsor Ontario Lions Club, in Canada, In 1950, MelvinJones was conferred the title of SECRETARY GENERAL of LIONS INTERNATIONAL for life. Since that time Lions organizations have grown to over 1.39 million members in over 46,000 clubs. Melvin Jones the founder of this great service organization, died in 1961. 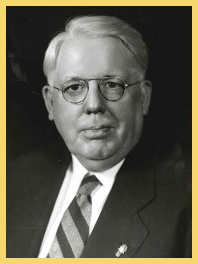 His philosophy of life, “you can’t get very far until you start doing something for somebody else,” lives in our motto “WE SERVE.”In 1961 the International Board of Directors proclaimed January 13 (the birthday of our founder, Melvin Jones) as a day of memory each year though out the world of Lionism. Founders and Rededication month traditionally observed in January, shall thereafter be designated as MelvinJones Memorial month. In June 1999 the Lions International Board gave this prestigious fifty-foot spire recognition as an International Shrine. On several occasions before his passing, Melvin visited the site of his birth and participated with the Arizona Lions groups that laid the foundation for the memorial now honoring his name. If you are visiting the southwestern United States, take the opportunity to visit your founder’s birthplace.